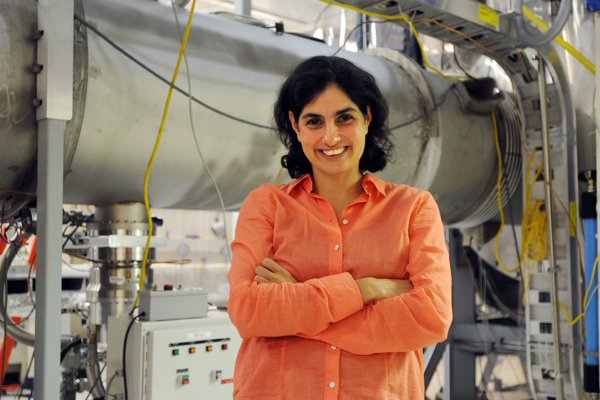 Nergis Mavalvala is a physicist whose research links the world of quantum mechanics, usually apparent only at the atomic scale, with some of the most powerful, yet elusive, forces in the cosmos. She received a B.A. from Wellesley College in 1990 and a Ph.D. from the Massachusetts Institute of Technology in 1997. She was a postdoctoral fellow and research scientist at the California Institute of Technology between 1997 and 2002. Since 2002, she has been on the Physics faculty at the Massachusetts Institute of Technology where she is now a Professor of Physics and recipient of a 2010 MacArthur “genius” award. In her spare time, she loves to bicycle long distances, playing sports, and hanging out with her family.